The growing adoption of laptops and other portable devices is changing the foundation of IT security. Laptops have overtaken desktops as the computer of choice for business users. As a result, they have grown to occupy two roles: they are the access point to business resources and a repository of confidential data. 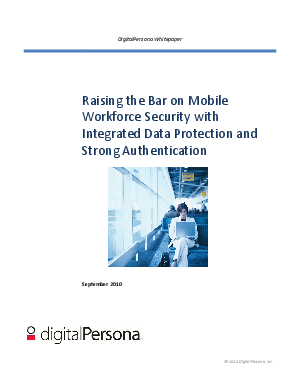 Security solutions are now integrating data protection and strong authentication to address the new risks of the growing mobile workforce.